Just about every entrepreneur and investor in Silicon Valley has a special take on what works and what doesn’t when it comes to a startup. But precious few of their assessments are based on cold, hard facts. For an industry that runs on data and analytics, there has been surprisingly little in-depth research in the tech sector about what actually makes startups successful. Seed accelerator Blackbox, has released the Startup Genome Report on Saturday, a comprehensive map of the factors beyond luck, talent and money that make Silicon Valley startups successful and spur innovation. Through surveys and interviews with nearly 1000 startups, co-authors Bjoern Lasse Herrmann and Max Marmer have come up with a framework to assess startups and understand the drivers of entrepreneurial performance. Startups evolve through four, top-level stages of development, and each stage can be measured with specific milestones and thresholds. 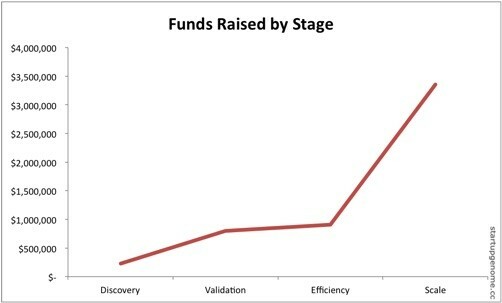 Startups that skip these stages perform worse. They tend to lose the battle early on by getting ahead of themselves. There are four types of startups. Each type evolves through the developmental stages differently, works best with different types of founding teams and has different motivations. Common characteristics: These are self-service, customer acquisition and consumer-focused companies that have fast execution and often automize a manual process. Examples: Google (s goog), Dropbox, Eventbrite, Slideshare, Mint, Pandora, Kickstarter, Hunch, Zynga, Playdom, Modcloth, Box.net, Basecamp, Hipmunk. Common characteristics: These self-service customer acquisition companies hit critical mass with runaway user growth in winner-take-all markets. They typically create new ways for people to interact. Examples: eBay (s ebay), OkCupid, Skype (s msft), Airbnb, Craigslist, Etsy, IMVU, Flickr (s yhoo), LinkedIn (s lnkd), Yelp, Aardvark, Facebook, Twitter, Foursquare, YouTube (s goog), Mechanical Turk (s amzn), MyYearbook, Prosper, PayPal, Quora. Common characteristics: The companies thrive on lead generation with inside sales reps. They are product-centric and rely on early monetization in smaller markets. They often take innovations from consumer Internet and rebuild it for smaller enterprises. Examples: PBworks, Uservoice, Mixpanel, Dimdim (s crm), HubSpot, Marketo, Xignite, Zendesk, GetSatisfaction, Flowtown. Common characteristics: Focused on enterprise sales, these companies have a high customer dependency, work in complex and rigid markets and have built arepeatable sales process. Examples: Oracle (s orcl), Salesforce, MySQL, Red Hat (s rht), Jive, Ariba, Rapleaf, Involver, BazaarVoice, Atlassian, BuddyMedia, Palantir, NetSuite (s n), Passkey, WorkDay, Apptio, Zuora, Cloudera, Splunk, SuccessFactor, Yammer, Postini. Don’t be afraid to change. Startups that pivot, or change a major aspect of their business/ product one or two times raise 2.5 times more money, have 3.6 times better user growth and are 52 percent less likely to scale prematurely than startups that pivot more than 2 times or not at all. Seek out mentors. 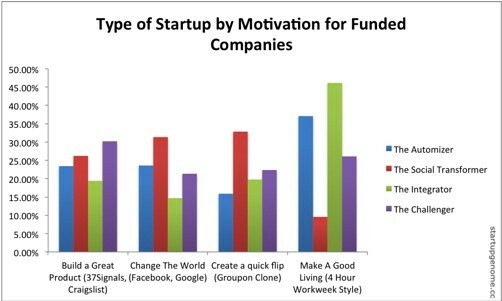 Startups that have helpful mentors and learn from popular startup thought leaders including Blank, Dave McClure and Sean Ellis raised 7 times more money and have 3.5 times more user growth than those without mentors, suggesting the right mentors significantly influence a company’s performance and ability to raise money. Don’t look to investors for the day-to-day:.“The value-add that investors claim to offer in an operational capacity has little to no effect,” the report says. Investors who provide hands-on help have little or no effect on the company’s operational performance. Meanwhile, many investors invest 2-3 times more capital than necessary in startups that haven’t reached problem solution fit yet. They also over-invest in solo founders and founding teams without technical cofounders based on our indicators that show that these teams have a much lower probability of success. Get tech support. Startups without a technical cofounder are 80 percent more likely to scale prematurely, have 152 percent less user growth and need 45 percent longer to reach product market fit than startups with one technical cofounder. Plan accordingly. Founders generally underestimate how long it will take to validate a market by 100 to 200 percent. 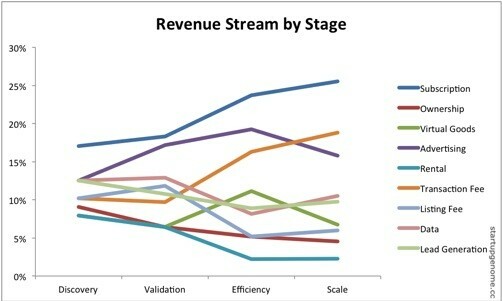 Now that the study is out, Blackbox says it will continue gathering and analyzing more advanced data with the goal of releasing a new software program this year that will assess what stage a startup is in and use the information and provide tools and resources to help entrepreneurs figure out whether they are making progress, and how they should allocate their time and energy to increase their chances of success. The window of opportunity for this project has only recently been opened. In just the last 2-3 years the number of people extracting and codifying the informal learning of Silicon Valley has hit a point of critical mass. Concurrently the costs of startup creation have fallen dramatically triggering a huge increase in technology entrepreneurship all over the world. New Startup? Dude, Thereâ€™s a (Genome) Map for That. Outstanding post and great ways to break up the ecosystem! Startups without a technical cofounder have 152 percent less user growth. 152 percent less?!? > there are four â€œpersonalityâ€ types ( Automizer, Social Transformer, Integrator, Challenger ) as described by the Genome Report. What is this labeling…. a new spin on Gartner Magic Quadrant? > Here are five of the many findings of the research report that might come in handy. These findings are not provocative. In fact they’re obvious is you’ve been paying attention. I’m into startups but this ‘Genome Map’ appears to be marketing hype or perhaps BlackBox likes Pandora ;). START-UP ARTICLE OF THE YEAR! Having seen every interview on Bloomberg West TV, been on a hundred or so webinars, downloaded numerous white papers, posted hundreds of articles about the Daily Deal Industry(Linkedin Group) and have studied the advancement of mobile, social, cloud, payment, streaming, daily deals, location,QR’s, games,IPO’s, etc etc. The way business has been innovated in the past year, I am not surprized that I had to take 6 months of 24/7 just to learn and understand where business is going. THIS REPORT IS THE BEST SUMMARY OF WHAT I HAVE LEARNED OVER THE LAST SIX MONTHS, WHICH INCLUDES A LIFETIME OF GETTING THERE. Simply put, hats of to the team!